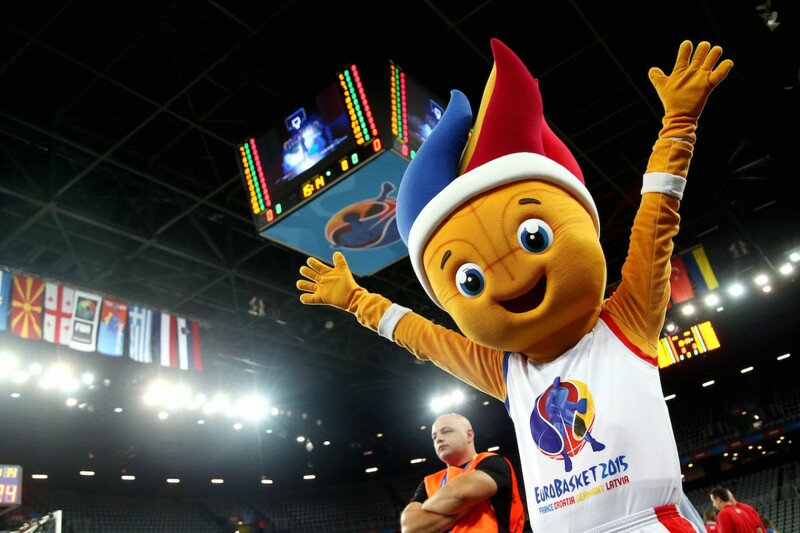 Latvian National basketball team has knocked down Team Belgium to open the FIBA EuroBasket 2015 in Riga tonight. The host squad rallied to an early lead and finished the 1st quarter 25-19. Belgians tried to pick up the pace mid-game, as they went for 7-0 run. They never really got it back though — as Team Latvia went on for a 7-0 run of their own in the 4th, taking home a 78-67 win. Mārtiņš Meiers did a great job in the paint and was the leading scorer for Latvians with 15 points in 14 minutes. Eminem shot 6 of 7 from the field, 3 of 3 from the dotted line while also grabbing 3 boards, a steal and a block (one of the total of 6 rejections performed by Latvia). Another scorer that helped a big deal is Kristaps Janičenoks who recorded a 3 of 4 shooting from behind the arc and contributed a total of 14 points. The Shooter — or the warrior which he definitely was tonight — Jānis Strēlnieks called plays with a black eye, swollen and stitched, an injury that almost kept him out of the game. Latvian starting point guard was game-time decision after suffering a tough hit to the face at practice the night before, and was unlikely to start. Not only did he start, but Jānis has clocked second-best 29 minutes and dished a game-high 7 assists. Hometown crowd was not disappointed, as the demanding Arena Riga fans who are longing for wins were cheering for Latvia all the way in the EuroBasket opener. As Jānis Strēlnieks said after the game: “Fan support in The Arena is really important to us — it’s what keeps us going and motivates us to focus and play better basketball”.